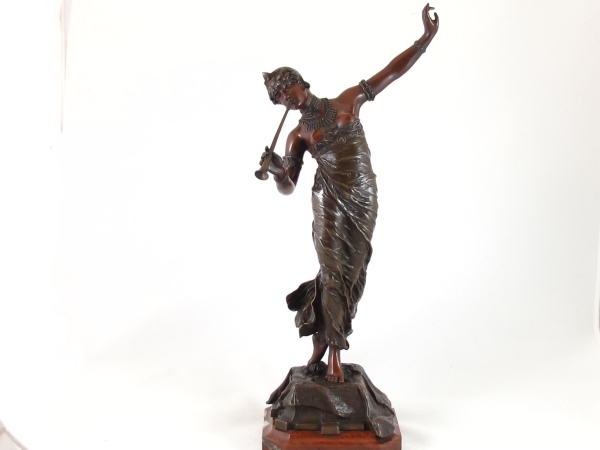 Art Nouveau patinated bronze figure of an oriental dancer by Franz Rosse (1858-1900). 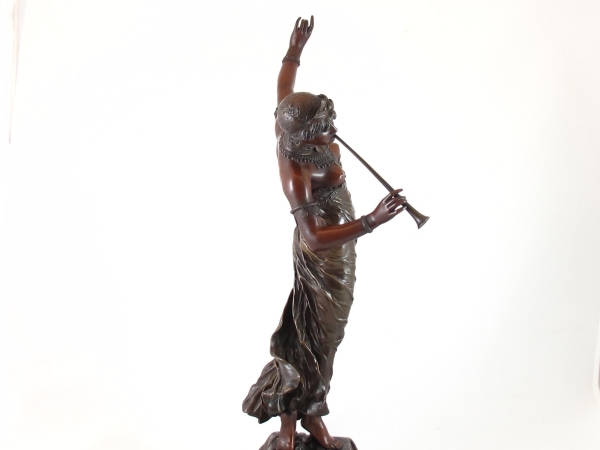 The finely detailed beautiful sculpture shows a beautiful maiden dancing and playing a flute. 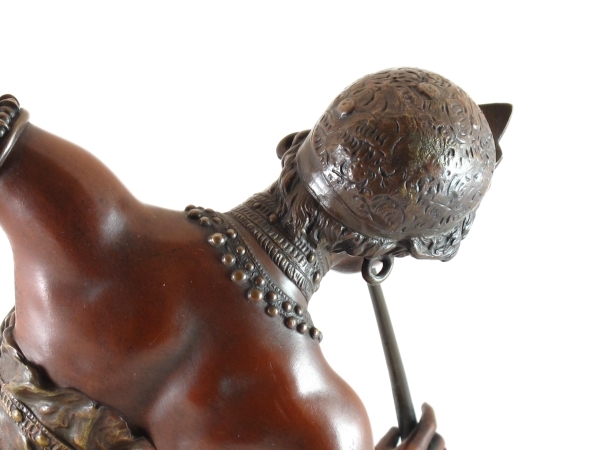 The patina of the bronze is 2 coloured – red brown and brown. The folds on her gown and her jewellery are all well cast and detailed. 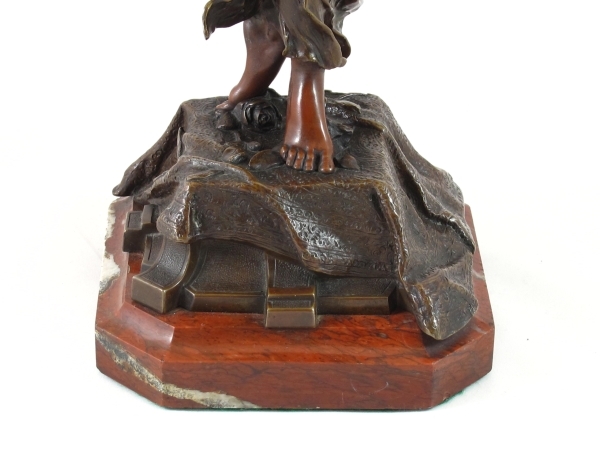 The barefoot figure stands on bronze flowers and a bronze and red marble base. 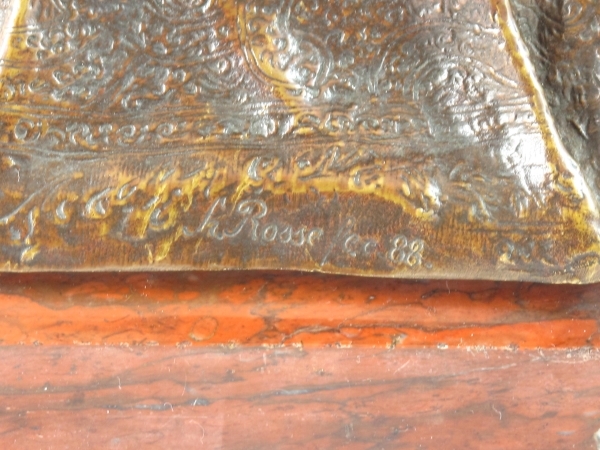 The figure is signed in the bronze F Rosse Fec 1899 and was made in Germany. 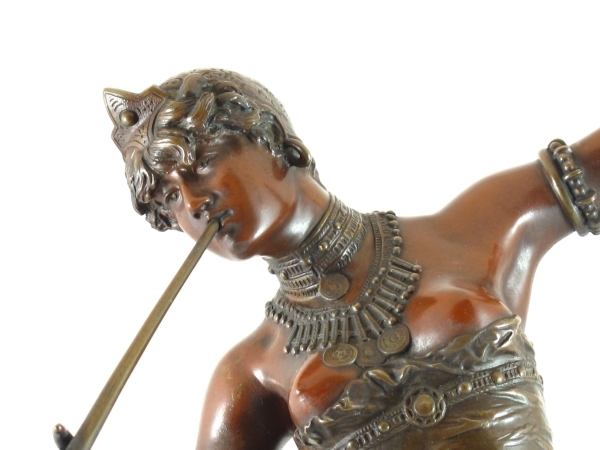 The desire to abandon the historical styles of the 19th century was an important impetus behind Art Nouveau and one that established the movements modernism. 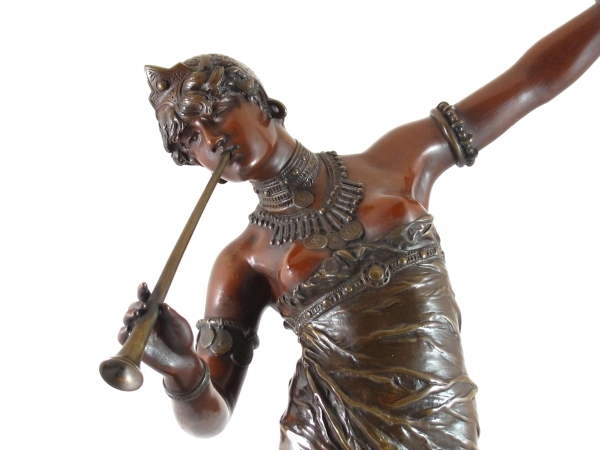 Industrial production was widespread, and yet the decorative arts were increasingly dominated by poorly-made objects imitating earlier periods. 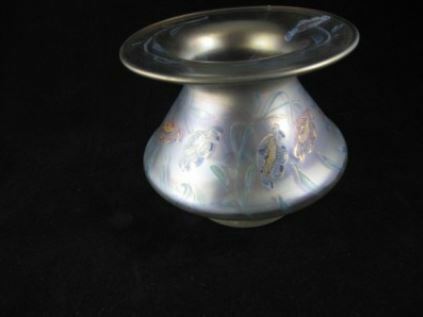 The practitioners of Art Nouveau sought to revive good workmanship, raise the status of craft, and produce genuinely modern design that reflected the utility of the items they were creating. 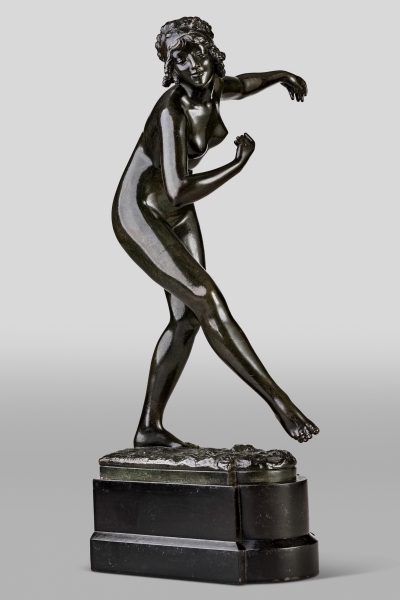 Art Nouveau was aimed at modernizing design, seeking to escape the eclectic historical styles that had previously been popular. 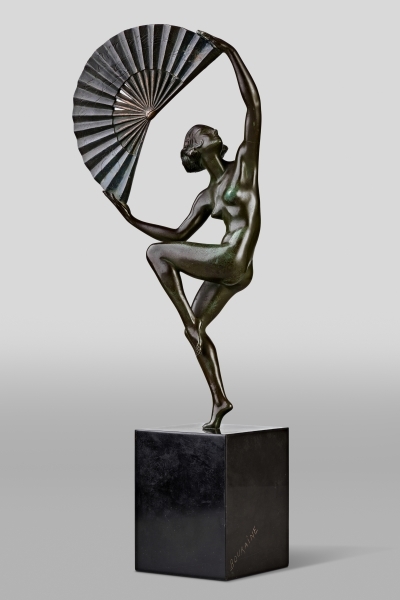 The artists and sculptors drew inspiration from both organic and geometric forms, evolving elegant designs that united flowing, natural forms resembling the stems and blossoms of plants. The emphasis on linear contours took precedence over colour, which was usually represented with hues such as muted greens, browns, yellows and blues. 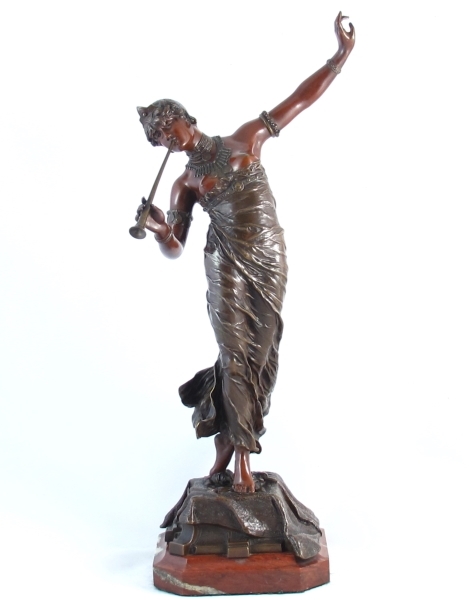 The movement was committed to abolishing the traditional hierarchy of the arts, which viewed the so-called liberal arts, such as painting and sculpture, as superior to craft-based decorative arts. 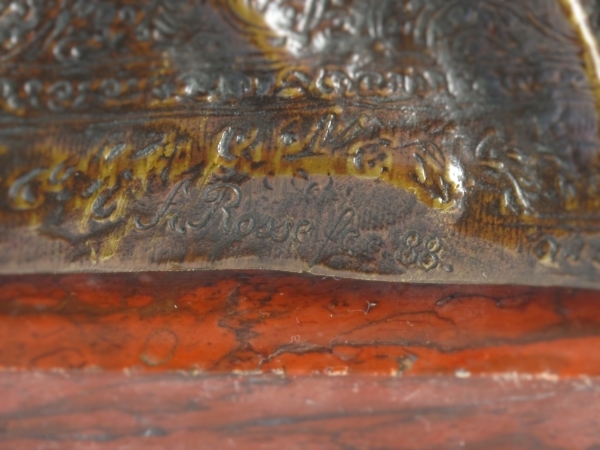 Condition – Excellent original condition with very little wear to the patina. A very well presented piece.